Rainy morning at Carnanc, the sky got clear later with a fresh building 20knots breeze. Fleets went out but later race was cancelled for the day. Morgan Lagraviere, 49er sailor. 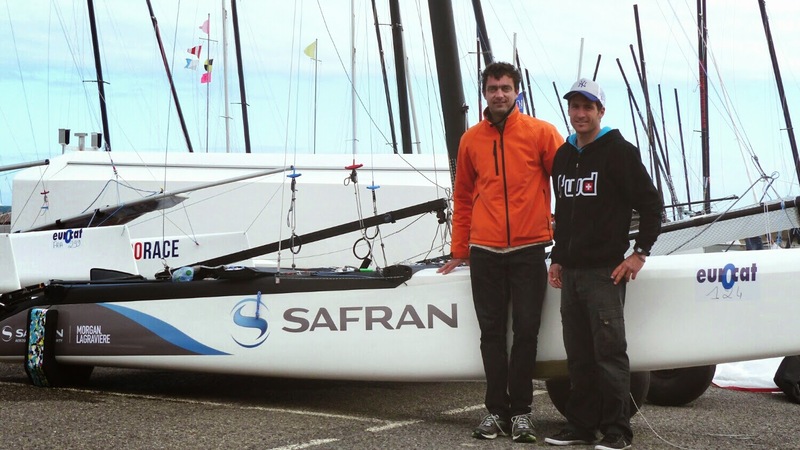 Both racing for Safran team. 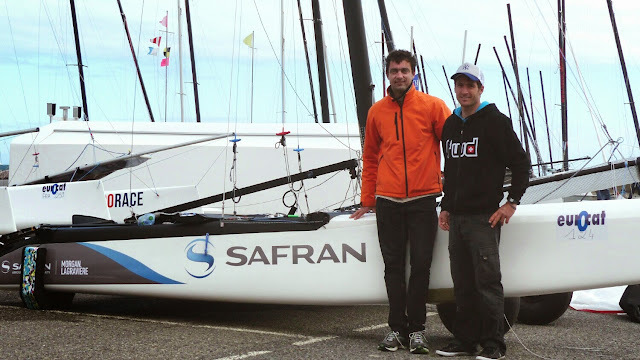 I also finally met the other part of the former Dark Horse team, Lamberto Cesari, who is racing for Hobie with another good known to me Italian guy, Carlo de Paoli.